In New England Team Challenge, A pool teams are required to field at least 14 men and two women in every match, or incur a one point penalty. 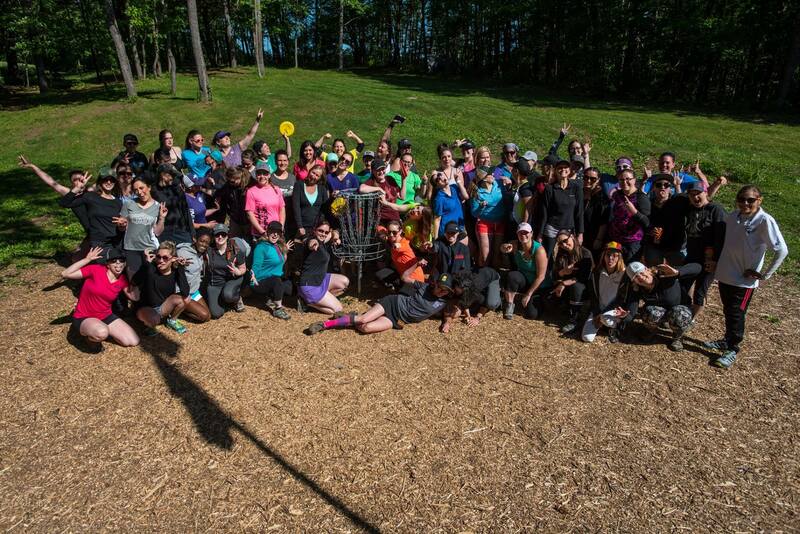 For some teams, the minimum female requirement is something that has pushed the male-dominated disc golf community to put time and effort into recruiting more women players. 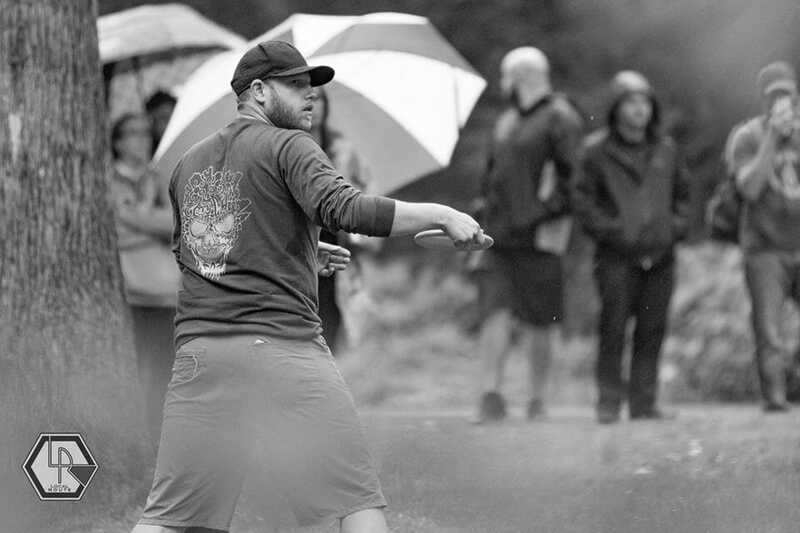 Disc golf is in a boom time, but the increase in participation — 12,507 new PDGA members in 2018 — has not been equal between the men’s and women’s divisions. The PDGA’s growth chart and demographics report reveal a frustrating disparity between men and women in our sport. Out of 46,457 active PDGA members, only 3,619 are women. That’s just 8%. Team Challenge is no gender equity panacea, but it does present an appealing entry point into the sport for casual and new female players. Ultiworld Disc Golf reached out to one such player to get a sense of the women’s experience within Team Challenge (TC). Julie Ferdella is an elementary school physical education teacher from Charlton, Massachusetts. She ran cross country and track and field, and played field hockey for Springfield College. In 2016 she won both the Vibram Open Am Side and the New England Disc Golf Championships. Julie is the co-tournament director of the Ladies Disc Golf Championship, a member of the PDGA Women’s Committee since 2014, and a co-founder of New England Women’s Disc Golf. She is sponsored by Green Light Disc Golf & Ladies First Disc Golf. Julie Ferdella plays with Team Crane Hill and spoke with Ultiworld Disc Golf about women and Team Challenge. Ultiworld Disc Golf: After seven years, what keeps you coming back to Team Challenge? Julie Ferdella: There are so many things I enjoy about TC. Traveling to different courses, meeting new people, the format, and the camaraderie within my team and with other teams on game day. Team Challenge is the one thing I look forward to during the darkest and coldest time of the year. UWDG: And what about Team Crane? You’ve been playing with the same group of people for some time now. Of all the sports teams I have played on throughout my life, Team Crane is by far the most tight-knit, encouraging, and hungry group of athletes I have ever been surrounded by. I am so proud of our efforts winter after winter, win or lose, because we all have each other’s backs. If someone is going out on a playoff, the whole team is going out to cheer them on. If someone needs to sit for a round, they caddy for someone else. We even celebrate weddings and babies with each other. Battling with this group of humans is the thing I like most about TC. UWDG: Has TC helped you as a player? JF: As a lifelong athlete, I really enjoy competing against the best disc golfing women in New England. They have pushed my game to new levels season after season. Additionally, I started playing in November, which seems like a strange time of year to pick up an outdoor sport, but the unpredictability of winter golf has prepared me to play in any conditions. Wind, rain, snow, ice…you name it, I’ve played TC in it. That first spring, especially, I saw massive improvements in my game as the regular, competitive opportunities allowed me to explore my form as well as my discs. UWDG: How important is the social aspect of TC for you? UW: Based on the chart you showed me, the number of women in Team Challenge has grown steadily over the years. What are your feelings about the role of TC in engaging new female athletes in the sport? These numbers are exciting, but those 136 women are still a fraction of the 1,000+ men in the league. Currently the A pool requires a 14 men, two women attendance minimum. UWDG: How close are we to changing that ratio? Should the goal be completely balanced 8-to-8 representation? JF: I’m not sure how close we are to changing that ratio, but my realistic ideal would be 20-to-4. As cool as 8-to-8 sounds, it is not realistic for THIS league. There aren’t enough women, yet, who play competitively and are willing to play throughout the winter months in New England. [A ratio of] 20-to-4 seems to be the next achievable milestone. Eight women at one match has only happened a few times in league history and to think we could be on our way to teams rostering even four women is so exciting! UWDG: We may be getting a little A-pool myopic here; do you think the lower divisions of Team Challenge would offer a better environment to foster female talent and interest in the game? JF: I feel it would be more beneficial for the lower pools to have a higher minimum. In A pool, as much as I love showing newer players the ropes, it is an atmosphere better for competing than teaching. In lower pools, newer women are competing with players similar to their skill level, thus helping them more with confidence and mental game. With higher minimums, I could imagine teams in lower pools fostering that “team” feel with every member of their squad, regardless of gender. There are still some teams who are resistant to having more than two women compete in a match, as getting to two has been a challenge for some teams in and of itself. UWDG: Truth. My team has struggled to meet the minimum at times. With two women on the roster, if one gets sick or has a scheduling conflict, it automatically means we’re dropping a penalty point and, perhaps more importantly, someone on the other team is losing that opportunity to play. So what do we do? JF: I’d advise teams to hold multiple days of tryouts/scrimmages throughout the summer (to accommodate tournament players) and encourage women to attend. Clubs should post on Facebook groups and pages, advertising their need for team members, male or female, and even go old school and post flyers at their local course. Unaffiliated female players can also join a Facebook group called “Women Looking to Play Team Challenge.” Team captains can reach out through that group to fill roster spots for individual matches, and oftentimes those ladies join teams in earnest the next year. A local club/course could also designate a “ladies night” league where women could play for free. I would suggest playing doubles because singles play can be intimidating, and locals could donate CTP prizes to further incentivize participation. Our local women’s league runs doubles in an A/B pool format so newer players are always paired with a stronger, more experienced player. This fosters the best environment for learning and falling in love with the game. UWDG: That’s coming from personal experience? JF: Very much so. I grew up in Leicester, Massachusetts and walked with my friends during rounds at Maple Hill and Pyramids for years going back to 2002, but I never threw. Even as an athlete, I never threw because I never saw another woman play. It wasn’t until I joined NETC in 2012 that I got to play with other ladies. My goal since then has been to grow the women’s side of the sport so no one will be as intimidated as I was and wait ten years before even throwing a disc. UWDG: Can you tell us what else you’ve been a part of on that front? JF: There is a Ladies Divisional Championship following the conclusion of each TC season which includes the women of TC, and any others who are interested in learning what TC is all about. We divide the players by region (North v. South or East v. West) and try to pair players with others of like abilities so they won’t be intimidated by those with more experience. 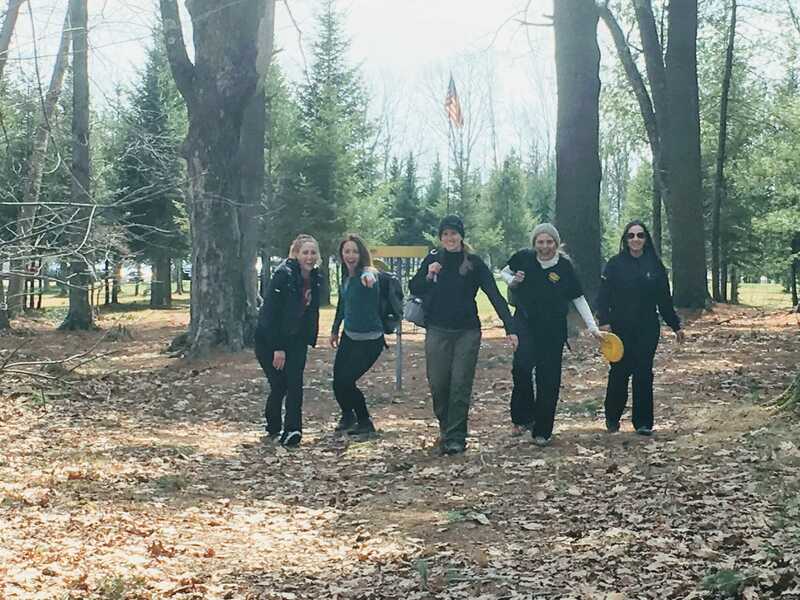 The lightly competitive atmosphere is really welcoming, and many women who had their first disc golf experience at an LDC have since joined teams. A number of others have joined the TC “women’s bench,” which is a list of players that can be called up to whichever team is struggling to meet the minimum. It’s a great way for them to get extra playing time, and meet a whole bunch of new people. UWDG: Julie, thank you for all of your input. See you in a few days up in Maine! JF: Sure thing, thanks for including me. Go Team Crane Hill! Comments on "The Women Of New England Team Challenge"